10 pastry shops you'll love! If you're visiting Paris it's not likely that you'll leave without sampling some of the worlds best pastries—considering you can find tasty treats at every cart and corner of the city. But with all these choices (and only so much room for these divine desserts), where do you start? 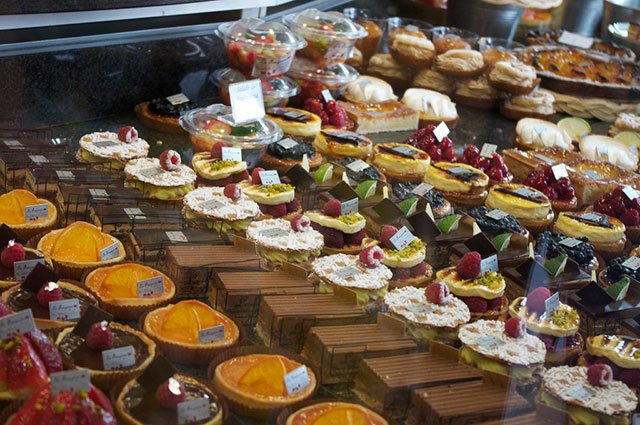 And more importantly, which pâtisseries are the ones you'll regret missing? 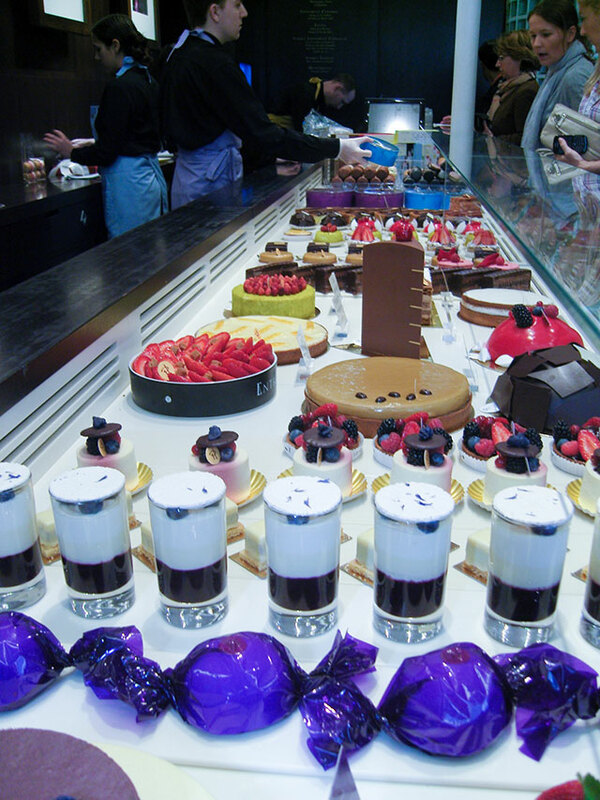 Fear not lover of all things sweet, we've taken on the tough job of sampling the best, most famous, oldest, and the downright sinfully delicious, pastry shops in Paris, and managed to narrowed it down to 10 places you simply must try. Unless you've been living under a rock, you probably heard the rumors that Ladurée macarons are some of the best in the world. Well, rumors get started for a reason, and this one is pretty accurate. 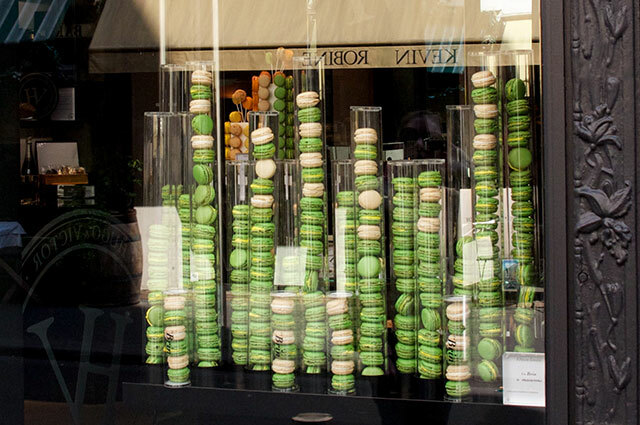 The macarons are what the house does best, and what they are most well known for. Each tiny pastel colored cookie is stuffed with flavored buttercream and lined up in neat little rows. 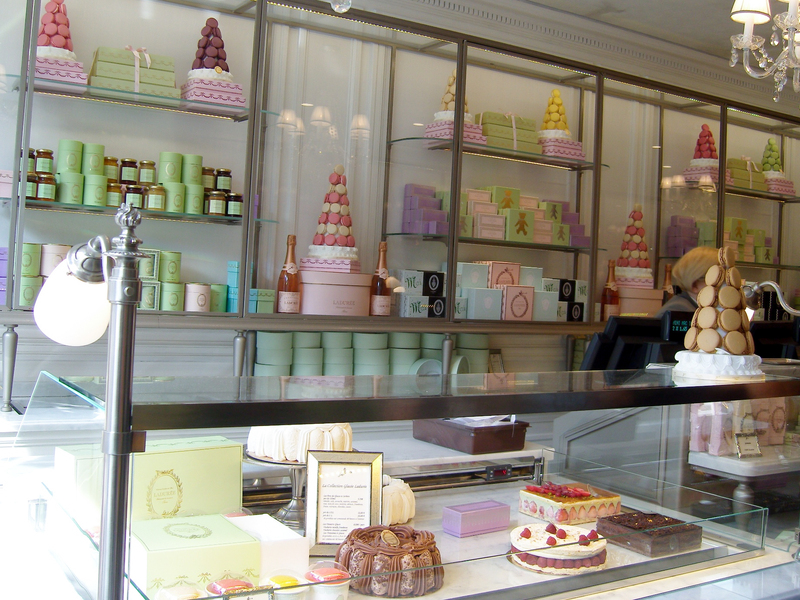 Ladurée is also famous for their thick, rich hot chocolate which compliments their pastries perfectly. Step back in time by heading to the main location on Champs-Élysées to marvel at the historic mint green tea salon with original fixtures and decoration from the 1800's—Ladurée is not only delicious it's beautiful to boot. Master pastry chef Pierre Hermé was one of (if not the!) first to use innovative flavor combinations into French pastry. The most popular, the Ispahan is a combination of rose, litchi, and raspberry. 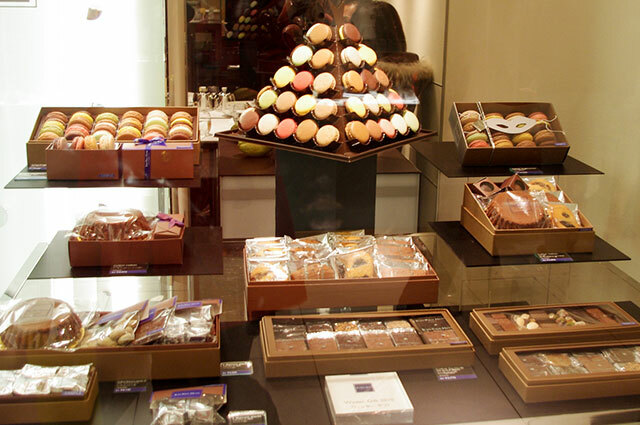 Dropping by one of his little boutiques where pastries are displayed like fine works of art and boxed up by white gloved attendants is a MUST in Paris. Macarons are raved about and you won't be able to leave without trying a few of the seasons feature flavors, but if you can get past the macarons just about everything in this pristine pastry shop will rock your world. Tarts are the main attraction at Gerald Mulot, he is known for his outstanding (and gorgeous) fruit tarts that are decorated with mounds of beautiful little and chocolates. These are easily some of the best tarts you'll ever eat, but if tarts aren't your thing (there's probably something really wrong with you) don't pass up the chance to sample some of their fresh breads, which the locals on hooked on. If you're going to have opera cake, let it be in the house where it was born. One of Paris' oldest patisseries has been known for making top notch baked goods since they were first noticed by Louis XIV and worked out of Versailles—yeah Versailles, like as in Marie Antoinette dressed in pink delicately eating lovely little cakes—at least that's what we imagine when we're there anyway. Tiny pastries are painstakingly assembled into works of art here, but the lines of people that wind out of the door are here for the award winning baguettes – arguably France's best. Still sold on something sweet? We think they hands down are the masters of the tarte tropezienne, two pieces of puff pastry held together with a generous layer of pastry creme. To-die-for. For chocolate lovers this is heaven. Although not every pastry is chocolate, most of what you'll find here is chocolate based. But if you're a diehard chocolate fiend you'll want to skip the pastries all together and head straight for the chocolate and truffle counter. Here you'll find the most imaginative chocolate combinations in Paris, presented as though it belongs in a museum. The truffles are seriously sinful and covered in ganache that will make you weak in the knees. This royal pastry shop goes back to the 18th century, and is said to be the oldest in Paris. Stohrer is actually of Polish decent, and got its start in Paris when Louis XV married Marie Leszczynska from Poland, who insisted on bringing her pastry chef to Versailles. Five years later a shop was opened in Paris for the public and has been delighting locals and tourists ever since. Everything they do here is delicious, however the 'baba au rhum' is what this house is most well known for—individual sized cakes, soaked in rum, and filled with pastry cream. If you find all these historic places boring and want to check out modern, contemporary pastry in action, this is the place for you. Hugo & Victor is fairly new on the scene buy quickly becoming one of Paris' best through innovation and technique. Each season the house picks five flavors to feature in all of their desserts, in addition to their basic chocolate, vanilla, and caramel that they do all year round. Flavor combinations are sometimes odd but always amazing and different from what other pastry shops are doing. Hugo & Victor are also well known for their chocolate spheres (which make great gifts) that are infused with the same intense seasonal flavors. 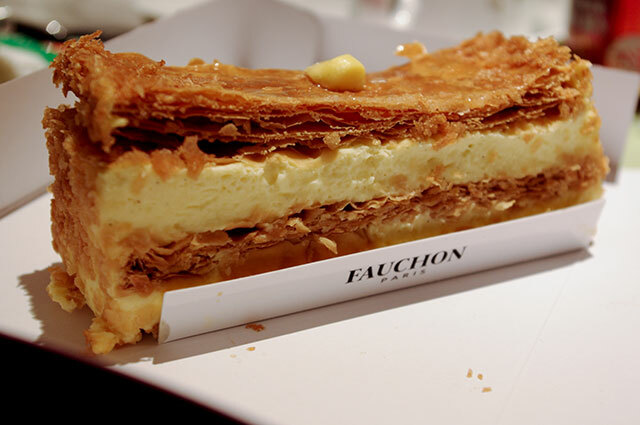 Most tourists will come to the famous Fauchon and sample their macarons, which are top notch, but what Fauchon really does well in our humble opinion is mille-feuille. The term mille-feuille in French roughly translates to 'thousand-layers', and although there isn't a thousand the mille-feuille is several layers of thin puff pastry stuffed in between with mounds of pastry cream and dusted with powdered sugar. This sounds simple and maybe a bit boring, but if you are a fan of vanilla cream based desserts the simple mille-feuille at Fauchon won't disappoint. You'll also find an entire range of stylish food and drink at Fauchon including tea, champagne, cheese and of course, brightly colored macarons. 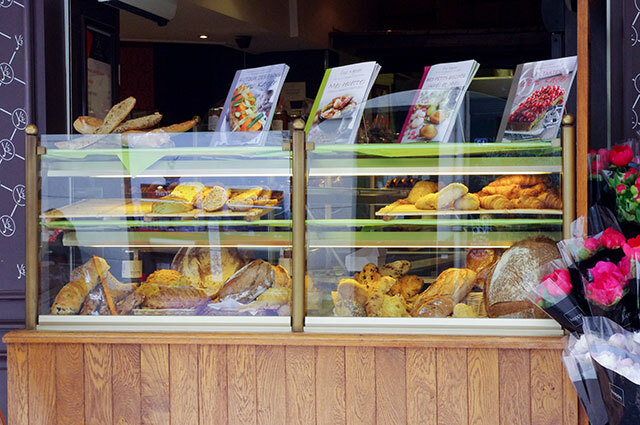 Master of liquid leaven, Eric Kayser is king among bread loving Parisians. The techniques used to create Kayser's world famous breads and pastries are legendary in the baking world, making the croissants and baguettes here a must try. The almond croissant is one of the best we've ever tasted, but just about any flavor you try will satisfy your morning carb craving.